Introduction to Applied Geophysics - Description | W. W. Norton & Company Ltd.
Introduction to Applied Geophysics covers the fundamental principles and common methods of exploration geophysics, preparing students for field study of the shallow subsurface. Offering a chapter on each of the most common methods of exploration, the text explains in detail how each method is performed and discusses that method’s geologic, engineering, and environmental applications. In addition to ample examples, illustrations, and applications throughout, each chapter concludes with a problem set. 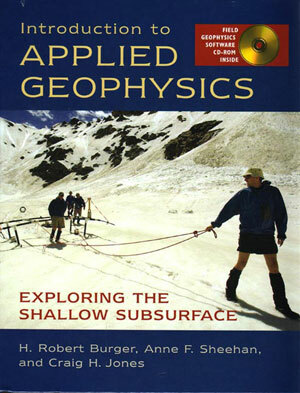 The text is also accompanied by the Field Geophysics Software Suite, an innovative CD-ROM that allows students to experiment with refraction and reflection seismology, gravity, magnetics, electrical resistivity, and ground-penetrating radar methods of exploration.